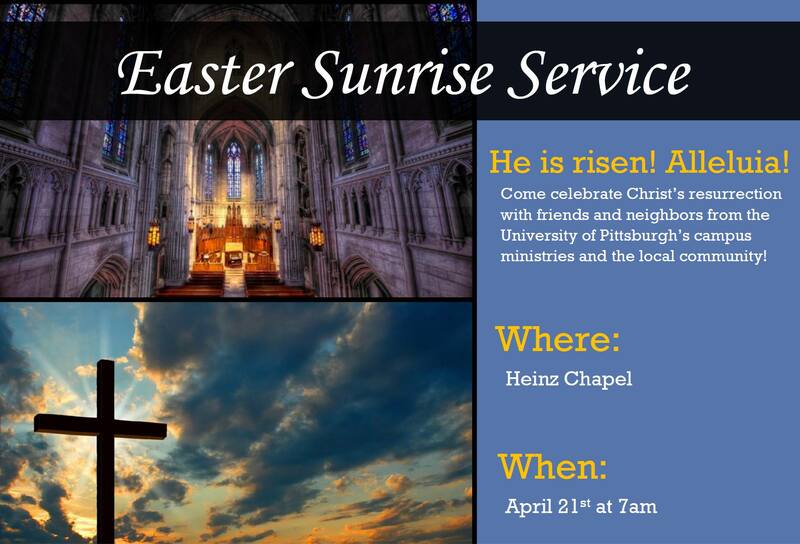 Easter Sunrise Service at Heinz Chapel conducted by Cornerstone Christian Ministry. Friends and neighbors from the University of Pittsburgh's campus ministries and from the local community are invited to celebrate Christ's resurrection on Easter morning. People from all denominations and walks of life wishing are welcome. A celebration of remembrance for those individuals who have provided their bodies for one final service to their fellow men.